Many people desire to leave a legacy by providing funds to their local church and the New Work Foundation. Review below several ways to continue a lifestyle of generosity. Your Goal: Transfer your appreciated property without paying capital gains tax, enjoy regular income for life or for a term of years, and receive the benefit of tax savings from a charitable deduction. How It Works: The New Work Foundation assist you to transfer your cash or appreciated property to fund a charitable trust at The Georgia Baptist Foundation. The trust sells your property tax-free and provides you with income for life or a term of years. When life ends, the corpus transfers to your church, the New Work Foundation, or other Baptist entity of your choice. Possible Benefits: Charitable tax deduction, income for life or a term of years, possible income growth over time and avoidance of capital gains tax. Your Goal: Receive fixed income for life, avoid capital gains tax on the sale of your appreciated property, and enjoy the benefit of tax savings from a charitable deduction. 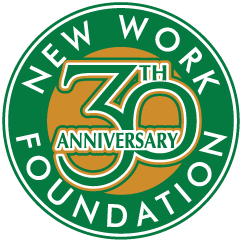 How It Works: The New Work Foundation assists you transferring your cash to The Georgia Baptist Foundation in exchange for our promise to pay you fixed income (with rates based on your age) for the rest of your life. Upon your death, the balance goes to your church, the New Work Foundation and/or a ministry of your choosing. Payout rates differ depending on one’s age. Possible Benefits: Charitable tax deduction, fixed income for life, partial bypass of capital gains, and possible tax-free payments. Your Goal: Remain in your home for life and receive a charitable income tax deduction. How It Works: The New Work Foundation assist you to give your property to The Georgia Baptist but you retain the right to use the property during your life. Possible Benefits: Charitable tax deduction and lifetime use of property. A simple way to give your home now, receive a charitable tax deduction, and pre-decide the ministry (your church, New Work Foundation, etc.) to receive the gift of the home at your death. For more ideas of ways to give, visit our blog.